I agree with all of the Terms and Conditions. $165 per hour for professional services. $695 per month. +$750 setup. 35% of the sales tax recovered on credit card purchases. You have successfully signed up for Encompas account. 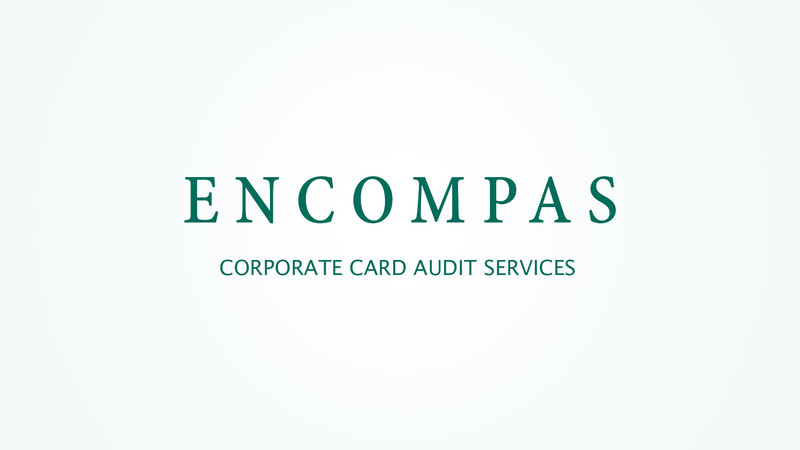 Encompas Card Management Strategies ensures cardholders are compliant with your corporate card policies. Our award-winning card audit technology aligns your internal expense and procurement policies to over 30 audit criteria, allowing clients to increase the usage of purchase and travel cards with confidence of having the proper controls in place. No more sample auditing! Review every Transaction. Audit rules can be established from the organizational to card holder level and unique for each card type. Copyright © 2019, Card Management Strategies, LLC. All Rights Reserved.